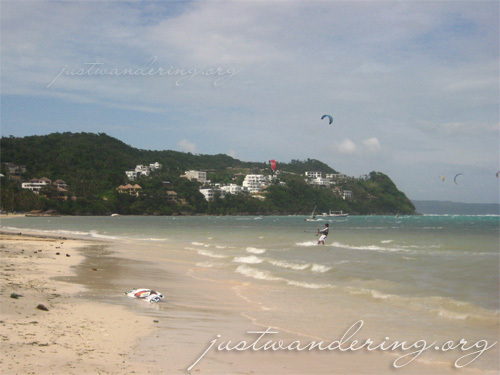 The first time I went to Boracay was in March 2005. It was also the first time my friends and I went on a long holiday together, and the first time I flew with Seair. That trip was easily one of the most memorable trips I ever had. The first views of the island from the air, the balmy sea air and the bright sunshine that welcomed us in Caticlan, the chori burgers, the D’Mall palengke, the Tekken tournaments, the steak night, the long walks from Station 1 to Station 3, the Holy Week parties, the aftermath of the Holy Week parties, the firedancers and the copious amounts of alcohol. As beautiful as the white beach (Balabag) is, we found it hard to appreciate it because of the layer of seaweeds that line the shore, and the trash that is left after all the parties. Since we lived halfway between the front beach and the back beach, one afternoon we walked through the narrow path and emerged in Bulabog beach. 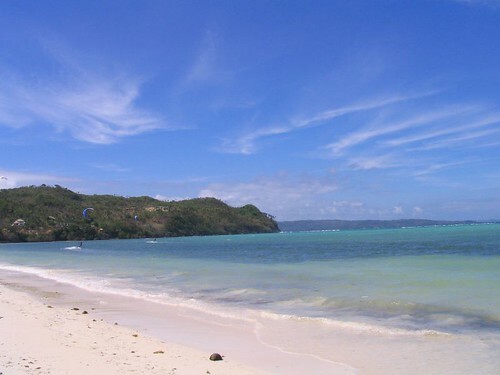 Bulabog is parallel to the white beach, though shorter. The wind here is much more fierce, making it the perfect spot for windsurfing and kite surfing. The sand in this beach is as fine, but unlike the white beach, the rubbish you see here are the ones that fall from the trees that line the shore. Seeing Balabag and Bulabog in December 2008, more than three years after my first visit, there’s still that sense of wonder and amazement. Sure, the D’mall has become extremely commercialized, but the beach remains as beautiful as ever. There are no seaweeds in the front beach yet, and there are more kite surfers in the back beach. 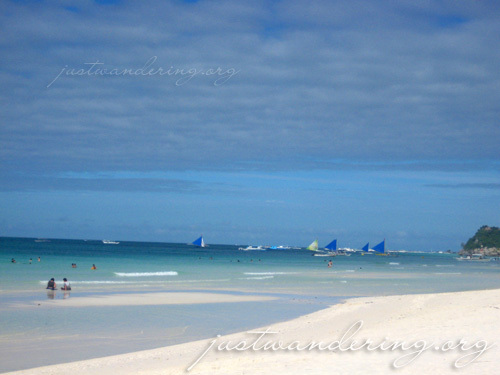 Though my companions are getting sick of Boracay, I still find myself enamored with the island. Maybe it’s because it was only my second time back whereas they’ve been to the island more than twice already. 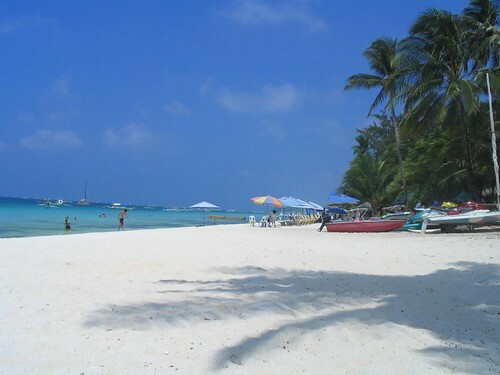 Sure, we’ve seen other spectacular beaches, but for me, Boracay still has its own charm. I know I’ll always go back to Bora. i agree. though it was my first time there, yet i dont see anything so negative about the beach. i was lucky to have seen it during the off peak season. less people, no seaweeds and cheap rates. ill be there next year.